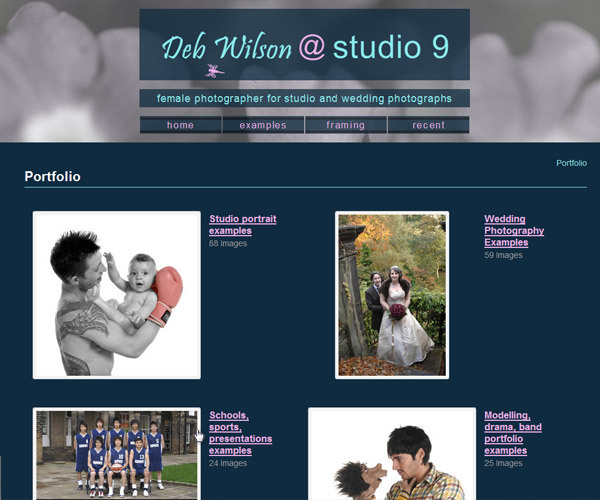 Deb, a female Photographer of Studio and Wedding Photographs was in need of a professional web-site. The old "inherited" site wasn't creating the right impression for visitors/potential customers. Using the given colour scheme and brief we created a cost effective site to showcase her services and portfolio along with a customer area for recent sittings & weddings. The gallery system we implemented allowed her to easily create/modify albums and upload photos and watermark as necessary.